Whether it’s the next community festival, your friend’s baby shower, or the company’s awards ceremony, professional event managers are needed everywhere. If you love being involved behind the scenes and seeing people laugh and smile because of your hard work, this is the perfect career choice for you. Event management is a fast-paced field that requires a keen eye and even better organization. By pursuing the Event Management program at CDI College, you’ll gain self-confidence and teamwork skills. CDI College’s Event Management courses cover a wide range of topics to help you develop the communications, organization, and interpersonal skills necessary to succeed in a variety of industries. Take event planning courses in the Greater Toronto Area and build on your natural creative talent for pulling together a successful party. Become adept in dealing with finances, human resources, contracts, negotiations, and everything else a professional event manager needs to master. The Event Management program at CDI College includes a student membership with the local chapter of the International Live Events Association of Canada (ILEA). Additionally, you will participate in staging projects where you’re expected to take initiative and demonstrate your newly learned skills – something that will prove invaluable once you’ve launched your career. The student will integrate all the skills acquired throughout the program to five projects – both individual and group – that are scheduled throughout the entire program. Students will be provided with a choice of events to plan and stage, occurring inside the campus or controlled events outside of the college. Students will then proceed to apply their knowledge and skills to plan and stage the events, such as cultural events, open houses, meetings, competitions and student activities. Based on Destination Marketing Association International, this course is the first comprehensive course covering the basic functions of the contemporary convention and visitors bureau. Based on contributions by internationally-recognized experts, students are offered professional insights into key issues related to destination management and marketing. Global in scope, the course explores destination management and DMCs around the world. This module covers a comprehensive overview of how to assess the client’s need for entertainment at an event to hiring the talent and coordinating the production details. Every event is subject to possible risk. This module will explore some of the potential risks that may impact an event. The focus will be on the management of the risk through compliance with legislation, sticking to the risk management plan and the implementation of a contingency plan. This course focuses on the visual experience of an event, it will give you ideas on how to set the stage from decor, lighting and floral arrangements to menus. By giving examples of different events it will spark your imagination and get you excited about your job as an event planner. Step by step you will be taken through the whole process of planning and coordinating an event. This course provides the students with the most current and comprehensive coverage of the convention industry, with an in-depth look at conventions and meetings marketing, how to successfully sell to groups, and how to service their business after the sale. The course offers expanded coverage of key industry trends, including the greening of meetings, new technology applications, social media, and the popularity of second-tier cities. The course has a significant global perspective with international examples from Canada, Asia and Europe. Additional coverage includes a self-contained module in exhibit marketing leading to managing an exhibit booth in the Event Staging Projects module. This course helps supervisors hit the ground running with the skills they'll learn in this course. They will be prepared to juggle with expectations of management, customers, employees and governmental agencies. In this course, we will be looking at the definition of commercial sponsorship and how to stage a sponsored event as well as how to attract, sign and keep sponsorship for any event. Marketing an event goes beyond simple advertisement of the event. In order to properly market an event, the event manager needs to know and understand the needs and expectations of the customer and how the event can meet and exceed them. The key to success is doing the proper research and then developing an appropriate marketing plan to ensure that all needs and expectations are addressed. In this course, the student will learn how to develop a marketing plan and marketing strategies that can sell an event and create an excitement around an event. To succeed in today’s competitive and sophisticated on-premise catering market, event and catering professionals must be versed in a number of business and HR skills, from basic accounting and marketing principles to working with intermediaries and suppliers. This module not only covers this but also new trends like online and social media marketing, effective menu writing, developing proposals, setting up function spaces, pricing meal functions and staffing. For professional event planners, the newest technology is used to manage and plan their business. In this course, event design, sales and strategic meetings management software are introduced and applied, as well as throughout the program. This course introduces the field of event planning. Students will gain insight into the typical duties of an Event Planner as well as everything the special events professional needs to manage events of all kinds – from small parties to big corporate events. It covers every technique and tactic in the event planner’s skill set including design, project management, site selection and development, safety and security, food and beverage service and entertainment. Students will learn a variety of communication methods for the modern business office. Topics include written and oral communications, grammar, spelling and the communication process. Students will practice these elements by role-playing and through case studies. Train to Become an Event Manager! 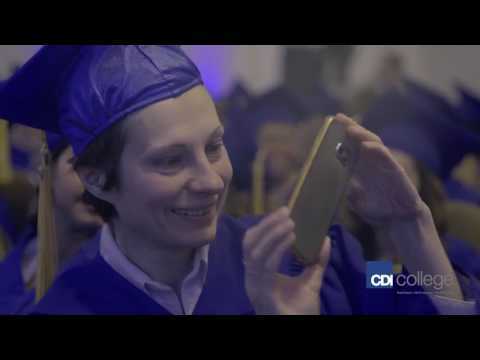 Apply today to CDI College and get the hands-on training to work in event management!